Big box retailers like IKEA profit from selling new furniture, so many were surprised to see the Swedish home furnishings giant encourage people to buy used furniture during a recent ad campaign. 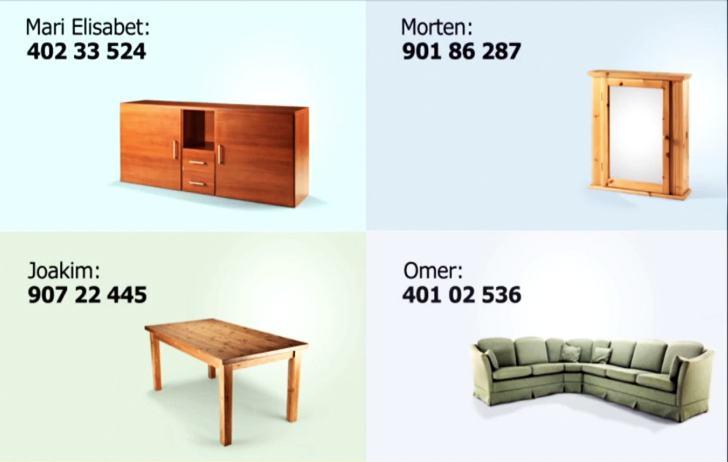 Created by Norway-based ad agency SMFB, the campaign used social media to ask the retailer’s fans if they needed any help selling used furniture. The response was overwhelming, and the agency and IKEA whittled it down to 50 lucky people. Then they took to social media and created a virtual flea market to connect sellers with people who were in the market for used furniture, rather than shelling out for new. Keep reading to see more of the unique ads that created such a buzz. Rather than showing off new furnishings in perfect condition, IKEA chose to market their newest catalog through the still-useable pieces offered up by their customer base. They contacted customers shopping for new furniture, and asked them what they were doing with the old stuff. Those who said they were going to throw things away were invited to participate in the recycling campaign. “The sofas and chairs they wanted to sell were photographed and featured (along with the sellers’ real names and phone numbers) in outdoor, print, broadcast and web banners all over Norway,” reports Apartment Therapy. IKEA’s “Second Hand Campaign” is actually quite brilliant because it allowed the company to demonstrate that its pieces are capable of lasting through several homes and owners. The durability of assemble-it-yourself furniture is often questioned, but this campaign attempts to refute this in a subtle fashion. In addition to the public ads, IKEA’s Facebook page became a digital flea market where sellers and buyers could do business every Sunday. The campaign ran for eight weeks, and it was a smashing success: Every used product advertised was sold during the campaign, helping those in the market for new IKEA furniture do the responsible thing by first selling the old model instead of trashing it. We think the idea is pure brilliance and would love to see IKEA duplicate it in markets around the world! Big box retailers like IKEA profit from selling new furniture, so many were surprised to see the Swedish home furnishings giant encourage people to buy used furniture during a recent ad campaign. Created by Norway-based ad agency SMFB, the campaign used social media to ask the retailer's fans if they needed any help selling used furniture. The response was overwhelming, and the agency and IKEA whittled it down to 50 lucky people. Then they took to social media and created a virtual flea market to connect sellers with people who were in the market for used furniture, rather than shelling out for new. Keep reading to see more of the unique ads that created such a buzz.